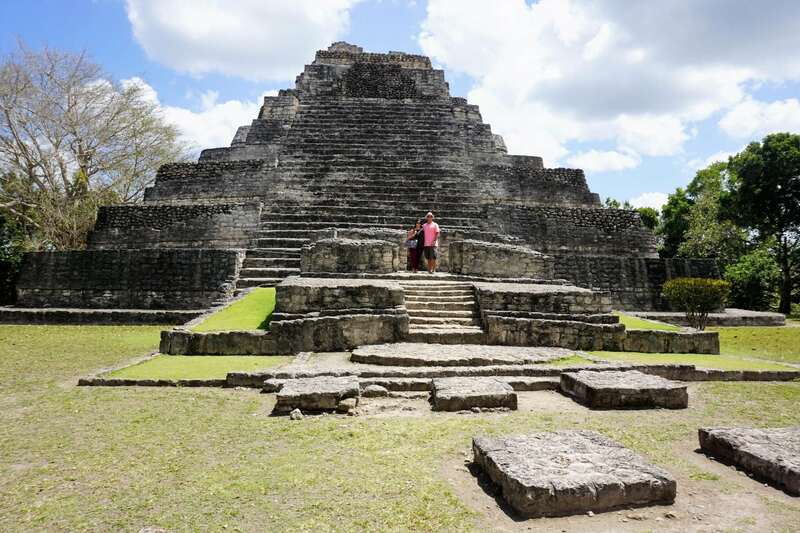 By traveling about an hour from the Costa Maya cruise port, cruisers can take a step deep into Mayan history on this highly rated shore excursion. Explore centuries-old structures and learn about the daily life of these ancient people on this informative walking tour. 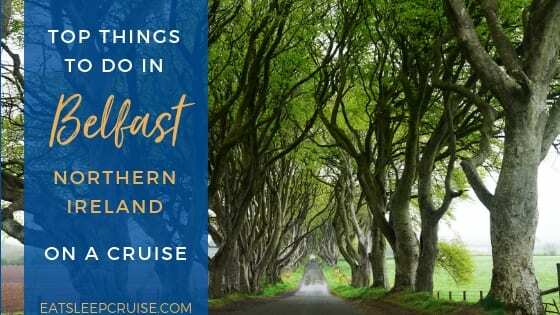 As a history buff, I was looking forward to this tour and even convinced the Princess to spend most of the day deep in the jungle at Chacchoben. 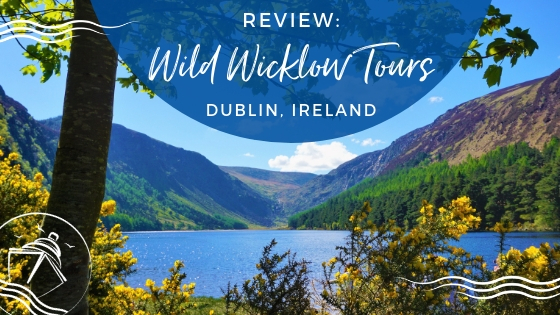 Booking this tour through Native Choice, we were able to get an authentic experience from a reputable and highly regarded tour company. 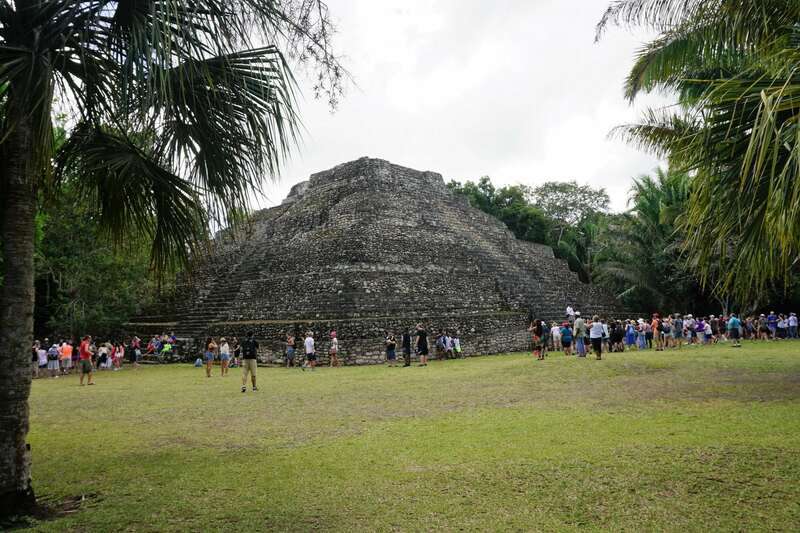 See why both of us enjoyed this cultural encounter in our Chacchoben Mayan Ruins Excursion Review. 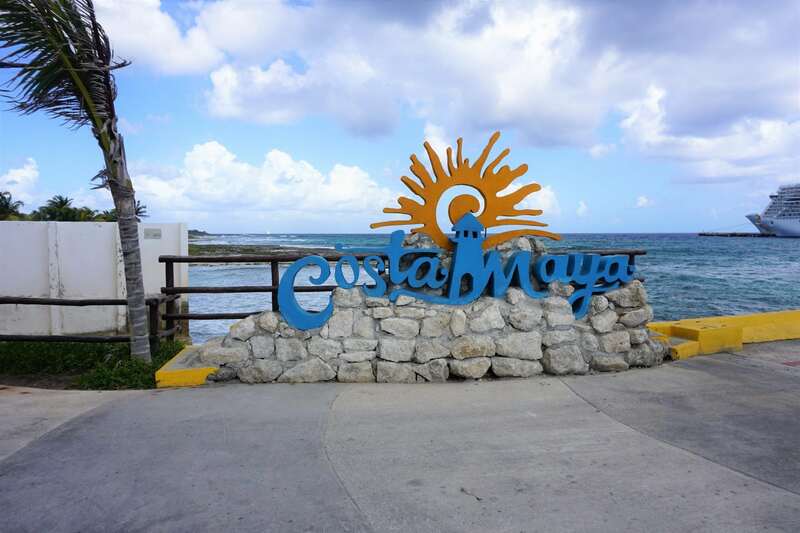 It had been ten years since we last visited Costa Maya, and the port had changed quite a bit in the decade. 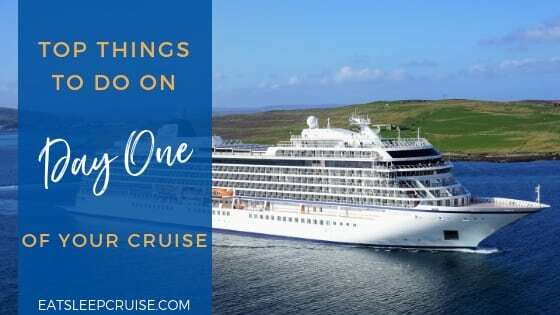 With so many different tour options available, we debated exactly what to do while docked on Norwegian Getaway. 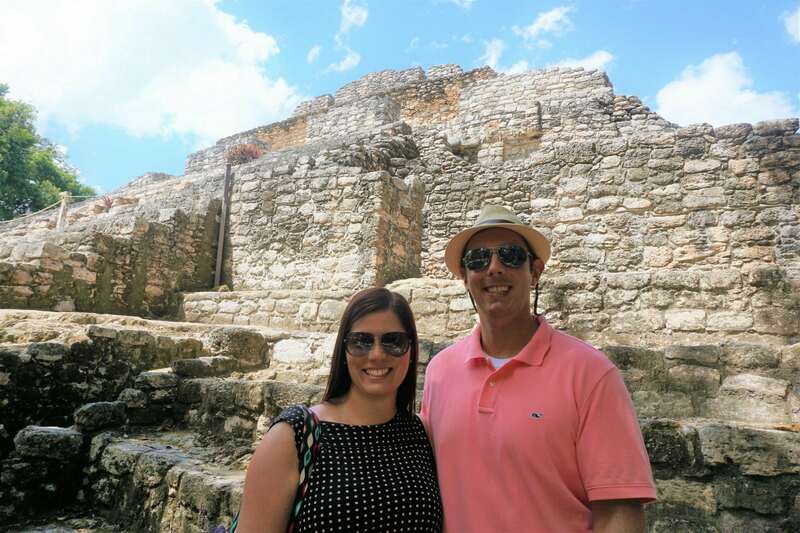 Top on my list was a Mayan ruins tour. 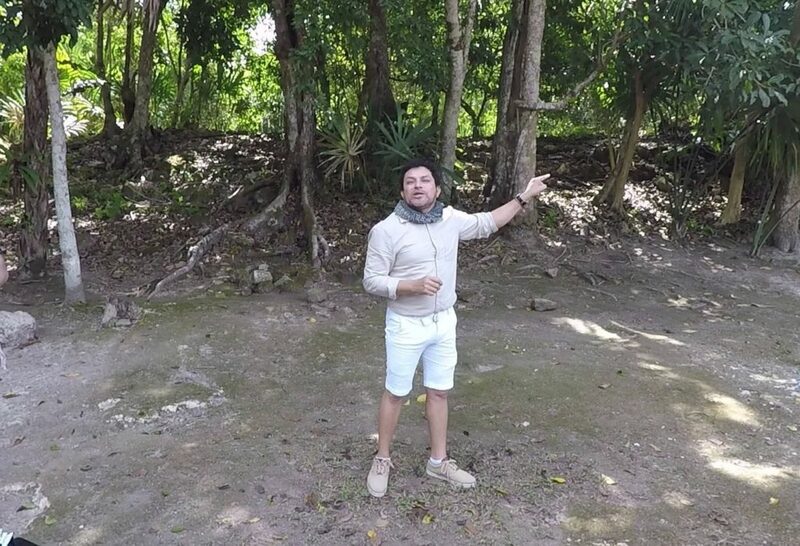 Reviewing the different archaeological sites and tour companies, we opted to book a tour to the Chacchoben ruins with Native Choice. The tour company’s office is located outside of the cruise port area. The directions (and map) provided by the tour company were a bit confusing to follow, but we found ourselves on the right path outside of the cruise terminal eventually. After an approximately 15 minute walk, we arrived at the small office teeming with fellow travelers. After checking in with our tickets, we were provided a colored wristband. Since the company offers a variety of tours, we assumed the different band colors were for different tours. Rushing to get to the office didn’t really help as we waited close to an hour for our tour to leave. Watching other smaller tour vans depart, we waited patiently on our larger motor coach. However, it worked out in the end as we ended up with an amazing tour guide David, who was one of the owners of the tour company. Once boarded, we began the roughly hour journey to the ruins. There isn’t much to see during this ride because most of the area is protected by the government. 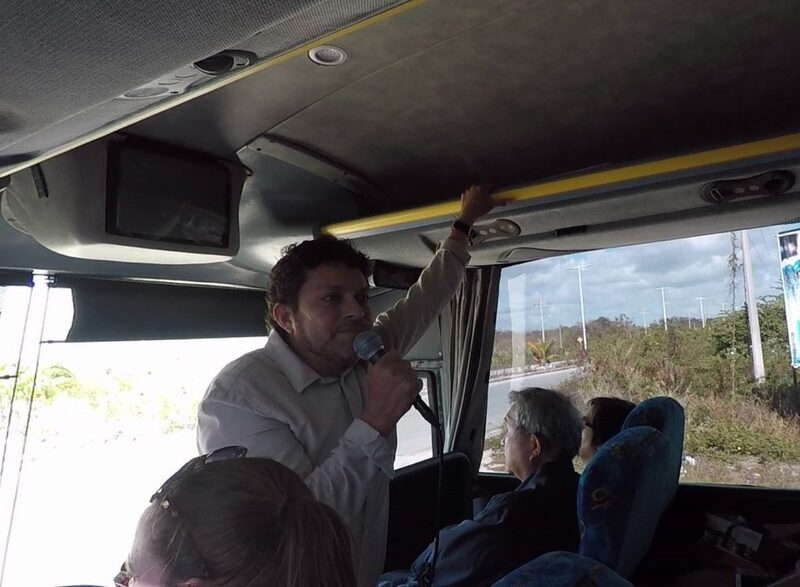 During the bus ride, David provided lots of details and history of the Mayan people as well as the site itself. Luckily, I had my GoPro running during much of his narration, as there was no way we were going to remember everything. 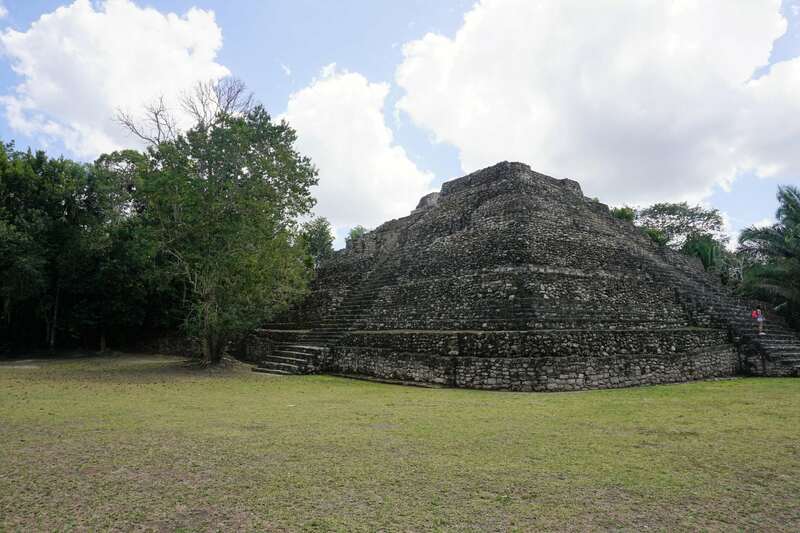 The city of Chacchoben dates back to 2000 BC. Most of what is observable today was last occupied between 300 to 600AD. Due to a self imposed drought throughout the region, the society left for several centuries, only to return hundreds of years later. 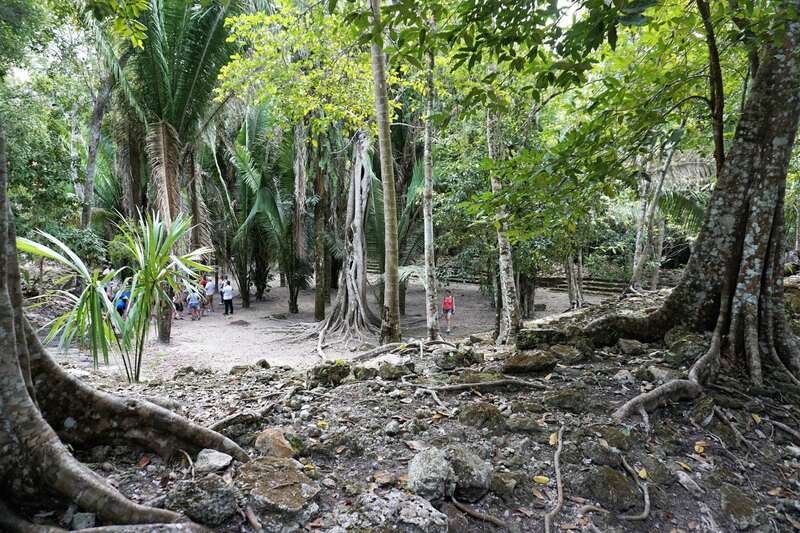 The excavated area of Chacchoben is what was considered “downtown”, home to about 10,000 Mayans. Although, what has been restored is probably only 40% of the once vibrant city. Downtown was home to about 2,000 of the society’s ruling class, shamans, and other “VIPs” (as David put it). The remaining individuals lived on the outskirts of the area and worked to serve those who were in charge. Learning more about these warring individuals, David also reviewed their educational system, religion, and politics en route. As one of the most advanced civilizations during the time, it was pretty amazing to learn how their society functioned similarly to modern cultures. For instance, Mayans were among the first societies to organize tax collection which was intertwined with religious beliefs. In addition, the society was able to identify constellations in the sky and used astrology as part of their religion and myths. Learning more about the city structure and Mayan culture made the drive to the ruins go by quickly. Soon, we came upon a small clearing, where off to the left you could see the top of a temple peaking through the jungle canopy. With a quick turn down a road, we had arrived at the ruins. Before beginning our tour, David gave us 15 minutes to browse the market and use the restrooms. Local vendors were selling small trinkets, hand crafted goods, and other souvenirs. Of course, the Princess and I couldn’t help but purchase a few small temple souvenirs for DIY Christmas tree ornaments. This area also contains restrooms and a small snack shop. Following the 15 minutes, David called our our code name and gave us an introduction of the three main sites we would visit. With this initial overview, we were off into the slightly cultivated brush. Even though it is a short path to discover these massive monuments, it seemed like were walking back in time. Overall, we would spend a total of two hours circling the area and viewing the excavated buildings and remains of these advanced people. When you get your first glimpse of these temples, it takes a minute to really appreciate the construction and design. The first building, which he described as a multi-functional building, held rituals and public ceremonies in the adjacent fields. If you look closely, you will notice that each side of the temple has a slightly different construction, with different public events occurring on each side. For instance, the facades facing north and south were essentially the equivalent of a government building for public tasks like punishing criminals, speeches, and of course, collecting taxes. The east side of this structure overlooked a large amphitheater. This area was off limits to commoners and was only accessed by the “VIPs” for special events like weddings. Or, a DB and the Princess sighting! If you look closely, you can see the difference in the design and slope of this particular side of the temple, with more bleachers allowing for the viewing of the events taking place. Until recently, tourists were able to enter some of the ruins. This site in particular was home to murals depicting a famous war among the different tribes. Due to pollution and vandalism, visitors are no longer able to enter any of the ruins. So instead, we were given an overview of what we would have seen inside by our very knowledgeable tour guide. This temple also served as the residences for ruling families. 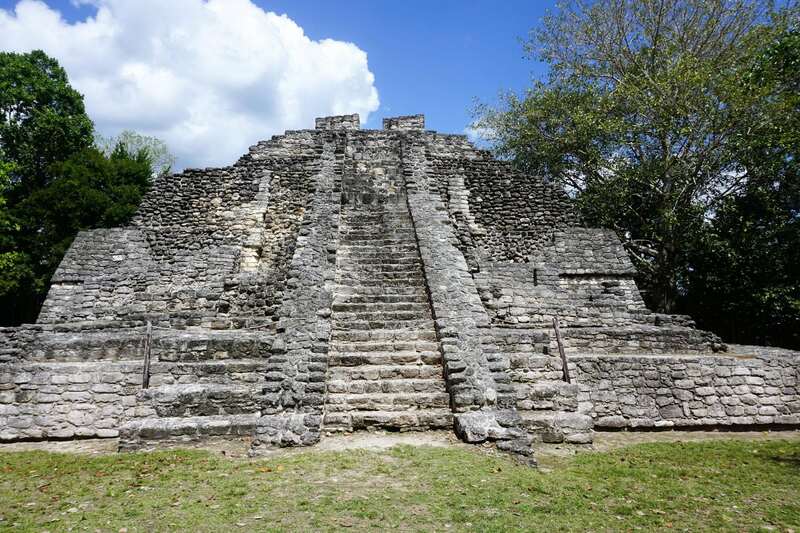 Sine the Mayans were constantly at war, the residents of this temple were always in flux. As David explained, this plaza stood as a symbol of the divide between the “VIPs” and the commoners. Only certain sections of this ancient city have been unearthed by archaeologists, but our guide was able to show us some of the walls and foundations of the homes that once stood in the area. 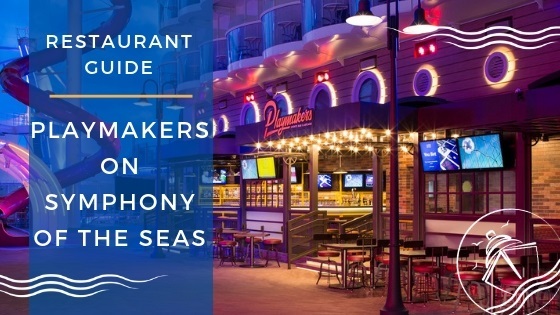 Interestingly, we learned that much like cruise ships, dining was one big buffet. There were no set meal times; food displays were set up, and families would eat throughout the day in between their normal tasks and duties. Maybe I am part Mayan after all? Rounding the corner, we came to last big area of this site, housing 2 additional temples. You do need to climb some steep stairs, but it is worth the journey as these buildings are very impressive. Our tour guide gave us about 15 minutes to walk around and take pictures. The only real downside was that we did not get to learn much about the functions or history of these buildings. I suspect they served many purposes, similar to the first temple we came upon on the tour. Given the design, these structures appeared to be older construction with the rounded corners. “Newer” construction in the site would consist of square corners. Looking back at it, I should have asked about these buildings. Perhaps, I was too busy taking selfies and pictures of each site. Completing our circle around the site, we were given another 15 minutes at the Welcome Center. 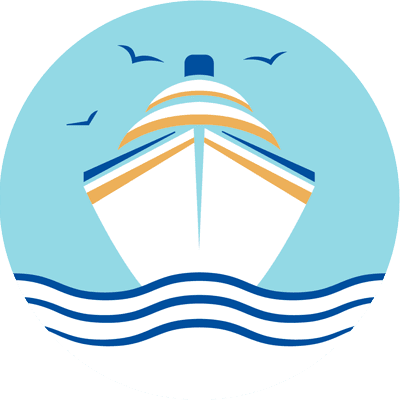 Once everyone was able to use the facilities and make their final purchases, then it was back on the bus for the return trip to the cruise terminal. Oddly, David did not accompany us back to the cruise ship. With no narration during the ride back, I may have dozed off here and there. 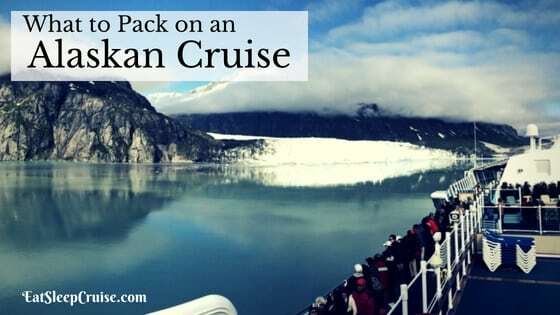 This time around, we were able to be dropped off in front of the cruise port. No need for a map to get back! Back to modern life, or at least modern Mexico. 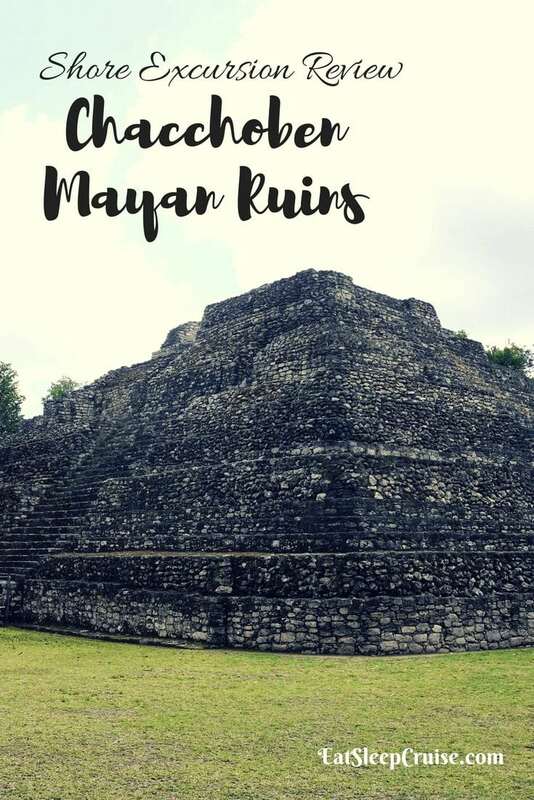 Spending the rest of our time browsing the port area for t-shirts and a few other souvenirs, I was already thinking about another trip to the region to explore some of the larger Mayan ruins. 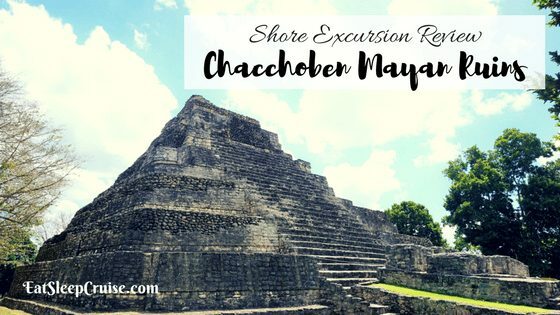 Our day touring the Chaccoben Mayan Ruins was one of the highlights of this Western Caribbean cruise. 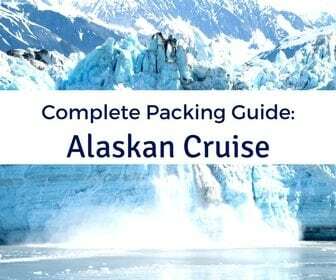 Native Choice was a great tour provider for this popular shore excursion. Our guide was excellent- informative, friendly, and he really “fit the part”. The hour bus ride to the ruins and back is manageable as the guide’s narration kept us engaged on the way to the site. 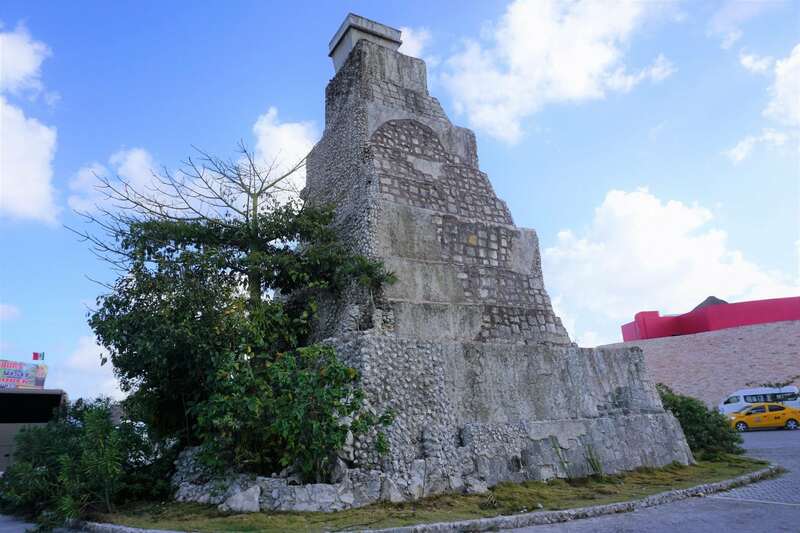 There are several other ruins you can visit from Mexican ports. Many of them include hours of travel back and forth, which makes for a long day. We found this to be the perfect length for a tour of this nature. We were able to see and learn a great deal, and still be back to the port for some shopping and a late day snack. 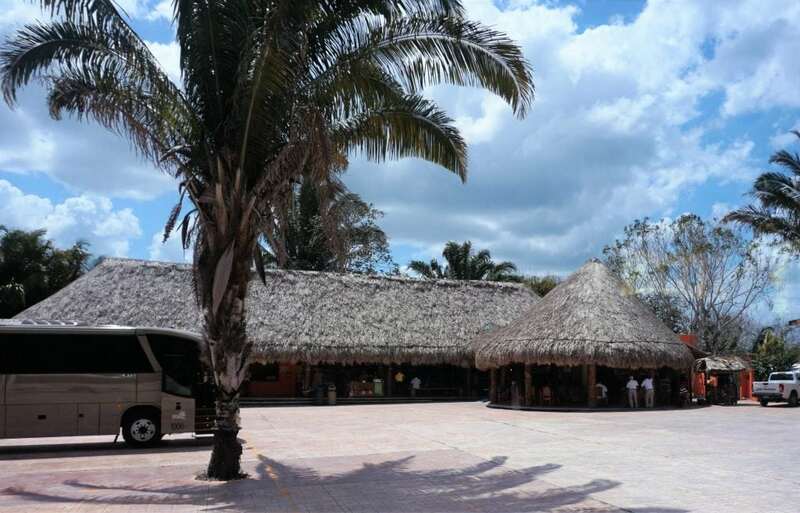 The tour met our high expectations, and we would definitely recommend this company for the Chacchoben Mayan Ruin tour. 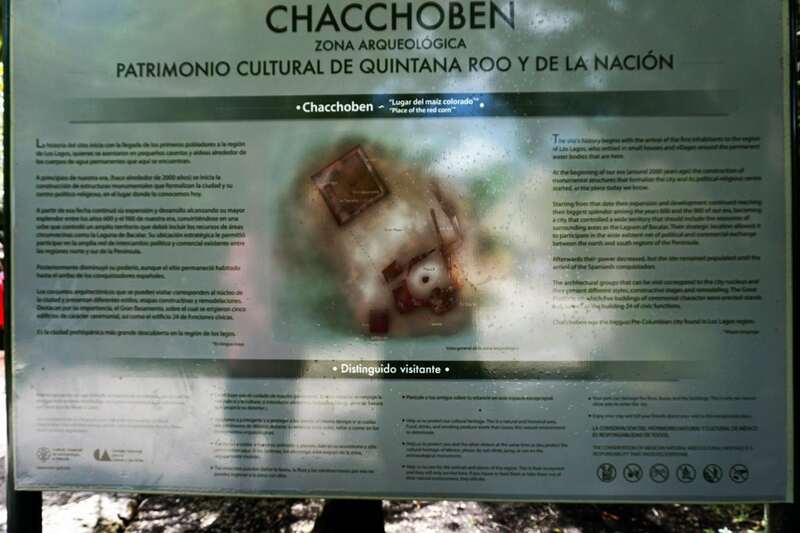 Have you explored the ancient ruins of Chacchoben? 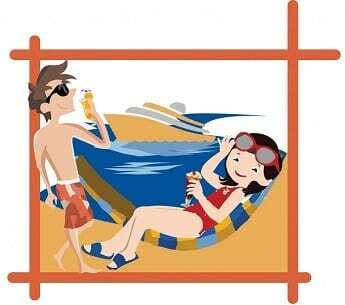 What is your favorite thing to do when docked in Costa Maya? 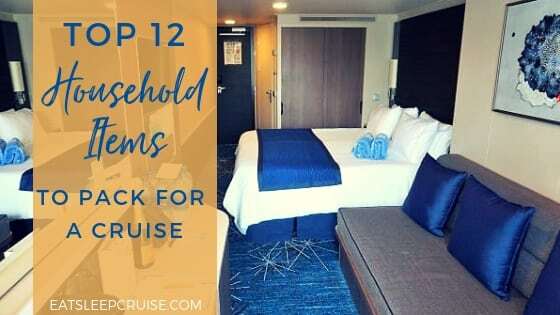 Drop us an anchor below to share your shore excursion reviews for this Mexican cruise port. 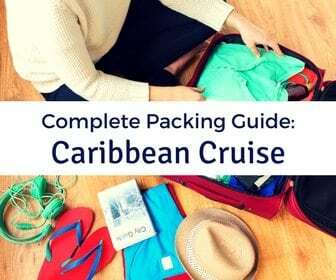 Heading on a cruise fall of 2019 and stopping into Costa Maya 11 am and ship leaves 7 pm. 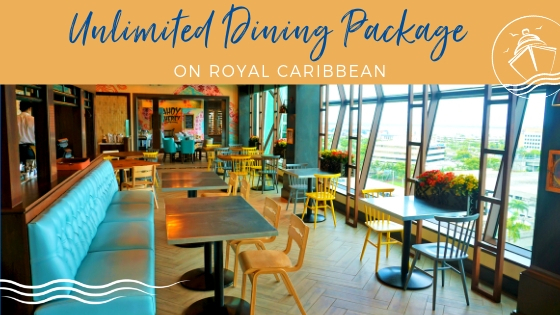 Its $500 Canadian to book through Royal Caribbean but much cheaper to go through Native Choice – my only hesitation is that we may miss our boat!! Am I being silly? Hi Renee, great question. We usually have similar concerns when booking with third party tours, but had no issues getting back in time with Native Choice. They are very reputable and do this tour almost every day. 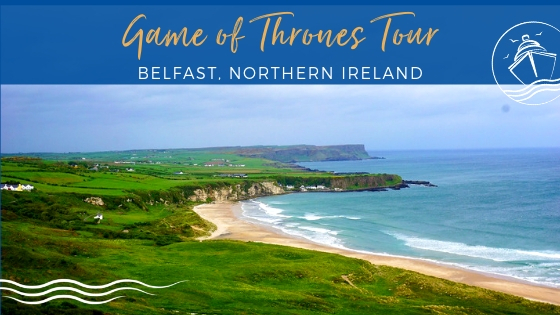 We have never heard of the tour not returning to the port on time. We highly recommend it! Let us know if you have any questions. Happy Cruising.